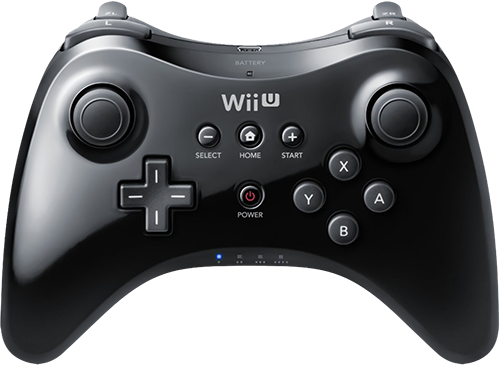 The Wii U Pro wireless controller is a native controller for the Wii U system. Many people find it's unique layout comfortable to use and, thanks to the CronusMAX PLUS, it can be used on the PlayStation 4, PlayStation 3, Xbox One, Xbox 360, PlayStation TV and Windows PC's. It can't be used as a wired controller as it's USB port is for charging only, but it is fully Bluetooth compatible and can be used with the CronusMAX PLUS in the same Bluetooth configuration as the DualShock 4 Controller.